Acne is a common skin disease characterised by pimples on the face, chest, and back. It is an inflammatory disease of the sebaceous glands where the pores have become clogged with oil, dead skin cells and bacteria. The common Chinese term for acne is Qing Chun Dou and it is also known as Fen Ci, Fei Feng Fen Ci, Mian Bao, and Jiu Ci. The more serious forms of acne develop when bacteria invade the blocked pores. If the blocked pore becomes inflamed, it forms a papular lesion called a pimple. When pus forms within the pimple, it is called pustular acne. The most severe type of acne occurs when cysts or nodules form deep below the surface of the skin. The age of onset is generally earlier than in previous years, and the duration more prolonged. The diagnosis of acne is based on history and physical examination. Lesions most commonly develop in areas with the greatest concentration of sebaceous glands, which include the face, chin, neck, chest, upper arms, lower limbs and back. If a blocked pore or microcomedo becomes inflamed, it can develop into a visible “whitehead”, known as a closed comedo, where a small collection of pus is visible at the surface beneath a thin layer of skin; or it can manifest as a “blackhead”, known as an open comedo, where the clogged material is exposed to the air and has changed colour. More serious acne takes the form of cysts. These are deeper pustular lesions often larger than 0.5 cm. The presence of excoriations, post-inflammatory hyperpigmentation and scars should be noted. During puberty, the yang qi is exuberant and generates heat which is constrained heat in the lung channel. This can be aggravated by an external pathogenic attack, by abusive use of cosmetic products, or by washing the face with cold water, all of which can cause clogging of the skin pores, causing the lung heat to be constrained, with the manifestation of comedones, pimples or cysts. The struggle between the interior heat and the exterior pathogen and subsequent knotting with qi and blood infiltrating into the network vessels causing knotted heat and stasis manifesting as protracting and dull red in colour papules or nodules. Overindulgence of spice and greasy foods generates heat and damp in the stomach and intestines, which broils upwards causing acne on the face, chest or back. Exuberant heat and damp can transform into toxic damp heat, forming pustules. With time, the constrained damp-heat condenses into phlegm and the constraint of phlegm heat manifests as cysts or nodules. Delayed type of acne is generally associated with stress and emotion leading to liver constraint and qi stagnation or irregularity of Chong and Ren vessels with qi and blood stagnation. Qi and blood contend with interior damp-heat and become knotted with the subsequent manifestation of acne over the chin and cheeks. The colour of the lesions is dull red. Thus, acne is associated with the excessive intake of greasy, sweet or spicy foods, emotional stress, menstrual irregularity, and contact with external substances such as mineral oil, iodine, bromine or lithium or corticosteroids. 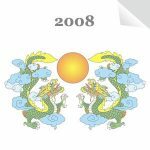 This article is an extract from the Pearls of Wisdom Seminar in July 2008. You can purchase the entire article as a downloadable pdf. 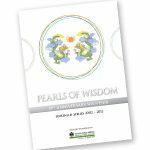 Alternatively you can download the Pearls Souvenir Book which contains a total of 14 seminar and workshop lectures from Pearls of Wisdom Seminars 2002-12.